Ailments involving the nose and throat can be caused by allergies, infections by bacteria, fungi, viruses, pollutants, chemicals, tobacco smoke, straining of the vocal chords or trauma and natural treatment will obviously depend on the cause. 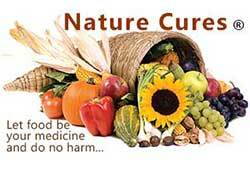 Many of the natural remedies on this page work for all types of ear, nose and throat infections. For more information about ears see the Tinnitus, Ear Ache and Infections section. The common causes of laryngitis are excessive talking, singing and shouting, bacterial infection, cigarette smoke, industrial pollutants and other allergens. Laryngitis can lead to an unnatural change in the voice, hoarseness or loss of voice and tickling, scratchiness and rawness in the throat and a constant urge to clear the throat. Fever can develop in some more severe cases and there can be difficulty breathing and swallowing if the larynx is swollen. The best natural remedies are to rest the voice, avoid all irritants (especially tobacco smoke) and drink plenty of fluids. In general, laryngitis resolves within one or two weeks, with or without treatment. Streptococcus pyogenes is a human pathogen, also known as group A streptococcus (GAS) which is the leading cause of bacterial pharyngitis and tonsillitis. It may also produce scarlet fever as well as strep throat, pneumonia and toxic shock syndrome, in addition to ear and sinus infections, sinusitis, otitis, arthritis and bone infections. Incubation period is typically two to four days, and if strep throat isn't treated, a person can stay contagious for several days to weeks after the illness has passed. People can also be carriers of strep without being sick or demonstrating symptoms. To avoid others contracting strep throat it is important that cups, drinking glasses, toothbrushes or utensils are not shared by anyone with a strep infection. They must also wash their hands often especially after sneezing or coughing. Clean all surfaces that are touched by hands in the home often (including toilet flush levers, light switches, door handles and banisters etc) and change the toothbrush of anyone suffering with a strep throat infection after they have recovered. It is very important to treat a strep infection within nine days, because in rare cases it can lead to an autoimmune reaction - rheumatic fever - that can affect the joints, skin, heart and kidneys. Rheumatic fever can cause permanent damage to the heart valves as well as other disorders of the heart. It can also lead to a syndrome called Sydenham's chorea, which causes emotional instability, muscle weakness and jerky movements of the hands, feet and face. This autoimmune reaction can also cause inflammation of the kidneys, producing a condition called poststreptococcal glomerulonephritis that can lead to permanent kidney damage. The juice of 1 lemon and a teaspoon of honey in a glass of warm water can be sipped slowly to provide some relief and lubricate the throat. 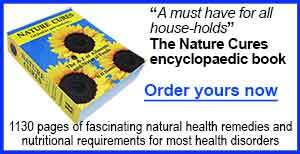 Propolis, peppermint and ginger are antimicrobial and anodyne herbs. Astragalus is a Chinese herb which has a long history of treating bacteria infections by boosting the immune system. It can be obtained in tincture or capsule form and is safe for children at half the adult dose stipulated. NOTE: Pregnant women or those trying to conceive should avoid andrographis. Safety during lactation is not known. Andrographis may increase glucose metabolism which could unduly enhance blood sugar lowering medication. Those taking anticoagulant agents such as warfarin or heparin, or anti-platelet agents such as ibuprofen, should also avoid the andrographis herb. Passion fruit contains components which have the ability to relieve sore throat and hoarseness. Many types of mushrooms have strong antibacterial properties and are particularly good to take as teas. A tea made with daikon, shittake mushrooms and kombu seaweed is a powerful remedy to lower fever and fight infection. A sore throat can be soothed with ice lollies made with fresh fruit juice and the teas of herbs listed here which is especially good for children. See below for more Natural Remedies for throat infections. Many people suffer silently from this bacterial or fungal infection and go undiagnosed for years. A main symptom is major fatigue for over three months. Other common symptoms can be a runny nose or dry nasal congestion, loss of smell and headaches. Over a period of time small polyps can develop which can hinder breathing through the nose. There can also be a tendency towards nosebleeds but this is not apparent in all cases and nosebleeds can be due to other conditions. In 25% of chronic maxillary sinusitis (in the cheek bone area) there is an underlying dental infection which must be resolved. Some people become allergic to certain elements and pollution and this can lead to inflamed sinuses which often get resolved when the person goes to different location or stops using particular household or cosmetic products. Try eliminating unnatural products from the home and incorporate air-purifying houseplants into the home or office to see if this resolves blocked sinuses that are caused by an allergy as apposed to an infection. Patients with chronic sinusitis usually show eosinophils (a type of white blood cell involved in allergic and other reactions) which become activated and an elevated basophil count which will show up in a blood test. As a result of the activation, the eosinophils released a product called MBP (major basic protein) into the mucus which attacks and kills the fungus but is very irritating to the lining of the sinuses. MBP is believed to injure the lining of the sinuses and this in turn allows bacteria to proliferate. Any factor that creates oedema of the nasal tissues resulting in obstruction and the lack of proper drainage of the area will often lead to sinus infection. As the obstruction continues, oxygen is reabsorbed from the sinus cavity back into the blood vessels, causing a painful relative negative pressure that draws fluid from the mucous membranes. This fluid is an excellent medium for bacteria, especially streptococcus, pneumococcus, hemophilus influenza and staphylococcus, which are the bacteria most implicated in acute sinusitis. The bacterial overgrowth leads to an influx of serum and leukocytes to fight the infection, setting up a painful positive pressure. The botanical treatment of fungal and bacterial infections works well for sinusitis as the sensitive area of the inner nasal cavities do not do cope well with topical harsh chemicals. In cases of acute sinusitis, the therapeutic goals are to re-establish drainage and clear up the infection. Various measures can be used: local application of heat, local use of volatile oils and botanicals with antibacterial properties plus immune system support by way of a well balanced diet. Many everyday natural foods have powerful antifungal properties can be taken by mouth and used externally to kill off yeast and fungal infections such as: cayenne pepper, garlic cloves (sliced or crushed), tea, chicory, crushed cloves, coconut flesh, oil and milk, colloidal silver, onions, potatoes and watercress. Cinnamon and honey: mix a tablespoon of honey and a quarter teaspoon of cinnamon and take this potent antimicrobial syrup every day to clear up sinus infections. Pumpkin, papaya and watermelon seeds also contain powerful antifungal properties. Andrographis is an immune stimulant, aperients and anti-parasitic, tonic, antibiotic and anti-viral herb and is used for treating sinusitis. NOTE: Pregnant women or those trying to conceive should avoid andrographis. Safety during lactation is not known. Andrographis may increase glucose metabolisation which could unduly enhance blood sugar lowering medication. Those taking anticoagulant agents such as warfarin or heparin, or anti-platelet agents such as ibuprofen, should also avoid the andrographis herb. At some point everyone suffers with a blocked nose and sinuses and this can lead to headaches and pain especially around the forehead and eyes. Nasal sprays often contain preservative chemicals that are unhealthy to be inhaled. This 'inhalation jar' contains only natural ingredients and can be used as often as required to bring relief and help kill any bacterial or fungal infections that may be present. Place cotton wool balls or pads into a clean jar that will fit over the nose and mouth. Add the above drops of essential oils. Cover with a tight-fitting lid. Whenever sinuses become blocked, remove the lid and place jar over the nose and mouth and inhale deeply through the nose two or three times. Use as often as desired and refresh with more drops of the essentials oils when the aroma begins to fade. NOTE: Fifteen drops of eucalyptus oil can also be added to the above mixture for a stronger effect. The tonsils are two almond-shaped balls of tissue situated at the back of the mouth on either side of the throat. The tonsils play an important role as part of the body's immune system, helping to fight off viral and bacterial infections before they reach the respiratory tract and other parts of the body. The tonsils contain certain cells that trap any infection entering the body. At times, however, the tonsils themselves may become infected by the very same germs that they are working to resist. When this happens the tonsils get swollen and inflamed causing pain and discomfort. In some cases, the tonsils may show white spots covering the surface coating indicating an infection. Infected tonsils can affect adults, but the condition is more prevalent in children who are especially prone to infections transmitted via the nose and mouth. Tonsillitis can be acute and it can recur over time and turn chronic. Removing the tonsils surgically as part of the treatment can make a person more susceptible to infections, which is why it is reserved as a last resort. Tonsillitis is a condition that tends to resolve without the need for medical intervention. In most cases, the tonsils will get better with self-care and home remedies and do not require any emergency treatment. A coating on the tonsils that may be yellow or grey in colour. Jaw and throat feel tender to the touch. Loss or change of voice. Loss of the senses of smell and taste. Nasal congestion and runny nose. The area surrounding the tonsils looks red and inflamed. Airways get blocked due to excessive swelling of the tonsils. Dehydration as drinking becomes difficult due to the swelling. A rash around the throat. Excessive drooling (in younger children). Swollen lymph glands in the neck. A fruit juice fast for three to five days can help boost immunity and fight off any infection. Drink fresh raw apricot, lemon, orange, grapefruit, pineapple, carrot, spinach and radish juice. After this, stay with an all fruit diet for the next few days before slowly introducing solids back into the diet. Ensure that meals are balanced with a combination of fresh fruit, vegetables, fish, whole grains, seeds, nuts, herbs and spices to boost the body’s immunity after the infection. Drink plenty of fluids to prevent dehydration, especially pineapple juice and to keep the throat moistened and free from itching. Avoid sugar, carbonated drinks and hot coffee as these can aggravate the condition. A sore throat can also be soothed with ice lollies made with fresh fruit juice which is especially good for children. Salt water gargle helps to ease the throat pain and reduce the swelling. Salt water helps in cleaning out the mouth and throat and prevents the build up of further infection on the surface of the tonsils. Gargling with bicarbonate of soda can also help. Swallowing a teaspoon of pure honey can provide relief and help to clear infection. NOTE: Pregnant women or those trying to conceive should avoid andrographis. Safety during lactation is not known. Andrographis may increase glucose metabolism which could unduly enhance blood sugar lowering medication. Those taking anticoagulant agents such as warfarin or heparin or with anti-platelet agents such as ibuprofen should also avoid the andrographis herb. Blood root is a powerful herb used to treat nose and throat infections. Lime is one of the most popular natural remedies for tonsillitis. Mix fresh lime juice in warm water with honey and salt and sip on this combination for pain relief from swollen tonsils. Boil milk and add a pinch of turmeric powder and black pepper powder. Drink this concoction before sleeping for a minimum of three nights in a row for an effective inflamed tonsils remedy. Goat's milk is easier to digest for those that are lactose intolerant.. Drink freshly juiced beetroot, carrot and/or cucumbers daily to boost the body's immune system and fight the infection more efficiently. You can have these juices individually or mix them together for the best results. Boil fenugreek seeds in water for half an hour. Cool and strain and use this water to gargle with. Fenugreek has antibacterial properties that make it an excellent cure for tonsillitis. Maqui berries are the richest source of anthocyanins of any other natural food. The anthocyanins give plants their dark purple and blue colour and exhibit powerful anti-inflammatory activity, and do it as well as drugs for the same purposes, without the negative side effects. Consuming them as juice or a warm tea can help to reduce the inflammation that causes sore throats. Boil fresh figs and grind them into a paste. Apply this paste on the external area of the throat to cool down a rash and redness of the throat and provide pain relief. Chamomile tea mixed with lemon and honey is an age-old natural remedy for tonsillitis. The chamomile acts as a relaxant and reduces stress and anxiety caused by tonsillitis along with treating symptoms of the condition such as pain and soreness. The lemon and honey kills off infection and the honey also lubricates the throat. Apply alum powder on the surface of the tonsils or gargle with alum and water. These are effective home remedies for tonsillitis that can reduce inflammation and prevent further infections. Chronic tonsillitis may not respond well to home remedies and may require more drastic measures such as surgery or tonsillectomy. Until recently, a myth that there was a map of taste receptors on the tongue, showing sweet, salt, sour and bitter areas, was believed until it was discovered that tastes can be detected anywhere there are taste receptors, all around the tongue, on the soft palate at back roof of the mouth and even in the epiglottis, the flap that blocks food from the windpipe. Because the nerves of smell and taste are connected, losing the sense of smell can also affect an individual’s ability to taste. While some conditions cannot be reversed, some treatments may help to protect and stimulate the development and function of the olfactory nerves which are responsible for the sense of smell and taste. Anosmia is the complete loss of one's ability to smell. Hyposmia is a partial loss of one's ability to smell. Ageusia is the complete loss of one's ability to taste. Hypogeusia is the partial loss of one's ability to taste. Parosmia is a condition were one's sense of smell is distorted or where one smells certain odours that are not present, i.e. Phantom odours. Dysgeusia is a condition were one tastes abnormal phantom tastes. The loss of the senses of smell and taste and can happen temporarily for a number of reasons. Once the cause has been removed or resolved both of these senses should return. Some are permanent though and therefore untreatable. Alcohol: the sense of smell declines as blood alcohol levels rise. This may be because levels of zinc decline when drinking alcohol as it forces expulsion in the urine. Cinnamon: Some people have an allergic reaction to cinnamon, especially in the oil form, as found in some toothpastes and the inflammation causes of loss of smell and taste..
Colds, influenza and upper respiratory infections. Exposure to toxic chemicals such as pesticides or solvents. Medications including antibiotics, antidepressants, anti-inflammatory medication, chemotherapy drugs, heart medications, high blood pressure medicines, rheumatoid arthritis drugs, statins and many others. Nasal polyps: small noncancerous growths in the nose and sinuses that block the nasal passage. Over indulgence of coffee or sugary foods. Prolonged exposure to unpleasant smells tends to wipe out the ability to smell. Radiation treatment of head and neck cancers. Salivary gland disorders and infections. Sinus infection or blocked nasal passages. Sjogren’s syndrome: a condition where the immune system attacks the moisture-producing glands to cause dry mouth, loss of taste, dental cavities and dry eyes. Injury to the nose and smell nerves from surgery or head trauma may lead to a partial or permanent loss of smell as the nerves responsible for smell may be damaged or contain scar tissue. As with vision and hearing, the sense of smell can become weaker with age. The sense of smell is most keen between the ages of 30 and 60 and begins to decline after age 60 when people tend to gradually lose their ability to smell aromas. This may be due to a degeneration of the nerve cells which control smell, together with a loss of sensitivity in one’s taste buds. In 2009, the U.S. Food and Drug Administration warned consumers to stop using several popular cold remedies because they could result in the loss of smell. During periods of anosmia it is important to be aware of the dangers of being unable to smell gas, poisonous substances and smoke and therefore smoke detectors are an important addition to the home and office. Food safety is important so always check use by dates on foods or use fresh foods within two days of purchase when the sense of smell is impaired. Smoking tobacco can add to the problem as it dulls the sense of smell by causing damage to the nasal membranes and reducing one's ability to identify odours. Foods will also become tasteless as a result of smoking. Apple cider vinegar taken daily can help to clear infection and reduce inflammation. Also adding a tablespoon to hot water and inhaling the fumes can help to clear congestion. Avoid alcohol as it forces expulsion of zinc which is often a cause of loss of smell and taste. Avoid very hot foods or fluids as high temperatures can damage the taste buds. Brown rice contains many of the B vitamins needed for tongue health. Carom seeds (ajwain) are a great cleansing agent with antibacterial and anti-inflammatory properties which destroy infection, reduce swelling and keep the blocked pathways clear and open. Take one teaspoon of carom seeds and place them in the centre of a thin cloth. Tie the seeds to form a small sachet. Heat a griddle and place the sachet on it. When it is sufficiently hot, bring it close to the nose and inhale the hot fumes through the nose. Do this several times, every night before going to bed. Castor oil is a pain reliever with antioxidant and anti-inflammatory properties which can help reverse the growth of nasal polyps and keep the nasal passages wide open to support the sense of smell. Chilli pepper has antibacterial properties which can help to clear infections and reduce nasal congestion that may cause loss of taste and smell. Eucalyptus oil can reduce sinus congestion. Tying some eucalyptus branches in a hot shower can give good relief and improve the sense of smell. Or add a few drops to a boil of steaming water then place a towel over the head and bowl and breathe in the vapours. Not suitable for those suffering with asthma. Fasting for one day, drinking water only, can sometimes help to stimulate taste buds. Garlic can clear infection, reduce inflammation and restore olfactory nerve processes. Ginger: chewing on a sliver of raw ginger can activate the taste buds and stimulate taste. Gingko biloba can help to restore the senses of smell and taste. Herbal concoction 1: Place three tablespoons of chamomile, juniper berries and thyme, along with two tablespoons of lavender and calendula and four tablespoons of hyssop in a bowl and mix. Use a single cup of water to boil two tablespoons of this herbal mixture and let the herbs steep in the water for fifteen minutes, carefully strain the mixture and drink three cups every day for a treatment period lasting a few weeks. Herbal concoction 2: a combination of two tablespoons of elderberry, gentian root, primrose, sorrel and vervain can resolve sinus symptoms made as above. Herbal concoction 3: euphorbia, fenugreek, horse radish, hypericum, mugwort and back flowers of wild oat, clematis and walnut can help to strengthen and support the mucus membranes and olfactory nerves as well as rebalancing the sensitivity..
Herbal concoction 3: for treating symptoms of Sjogrens syndrome a mixture of hawthorn, paprika, peppermint, pumpkins seeds and rosemary should be steeped in a cupful hot water for 15 minutes then strained and sipped three times a day. Honey has anti-bacterial properties and can clear infections which can cause loss of taste and smell. Humidify the air in the winter. The sense of smell is strongest in the summer and spring, most likely because of the higher moisture content in the air. Krill oil can help to replace vital nutrients that may be deficient in those with a loss of taste and smell. Take daily to see a marked improvement. Lemon juice is a great cleanser and antibiotic and may help to improve problems with taste and smell. Mandarin orange juice can help to clear congestion. Nettle tea: drink two to three cups per day to cure allergies and clear nasal congestion. Onion: eat several thin slices of raw onion to help clear sinuses. Sniffing raw onion can help too. Oysters are one of the highest food sources of zinc, and a deficiency of zinc contributes to a loss of the senses of smell and taste. Peppermint oil drops in hot water, inhaled or gently rubbed on the neck, throat and around the nose can help to clear congestion. Sea salt in warm water gargled a few times daily can help to clear infection and stimulate taste and smell. A nasal spray of saline can also help to unblock the nose. Spirulina is an algae which contains many of the nutrients that are deficient in those that suffer from a loss of smell and taste. Take one tablespoon of spirulina powder daily. Tea tree oil: To kill infections and parasites, which can cause loss of the senses of smell and taste, use a few drops of tea tree oil, mixed in water as a mouthwash two times a day. Do not swallow this mixture. Wear a mask when exposed to chemicals or unpleasant smells for prolonged periods.